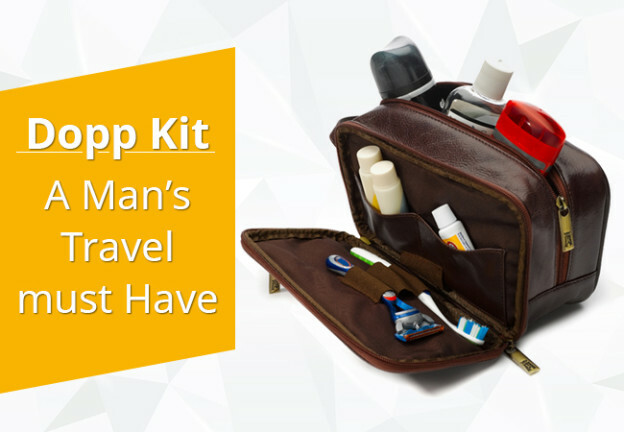 Dopp Kit- a Man’s Travel must Have! Dopp kit is a small and an easy going kit used during travel, especially for carrying men's grooming products. They are available in all sizes, shapes, and materials like vinyl, cloth and leather. Since there are numerous choices available, you can pick according to your budget and choice. But the question is how to select the perfect Dopp kit? Why don't you read our guide to know more? A Dopp kit is a convenient way to carry all your grooming essentials in one bag rather than misplacing in different bags. Apart from this, it also protects your travel luggage from any spillage or dirt from bottles. We all know that traveling is happiness but packing is a severe pain. Just like a karma, it gives you pain before the fun. Many of you will believe that packing a Dopp kit is like stuffing the products from your cupboard. If you don't pack all the stuff carefully, you will end up carrying unwanted and unnecessary essentials. So, make sure you make a list of things before and then pack them. With Dopp kit make your traveling easier and economical. What do you carry ion your kit? Did we miss any important essential to mention? Let us know below.